Colorado Construction Litigation: DRI's Construction Litigation Desk Reference Now Available. 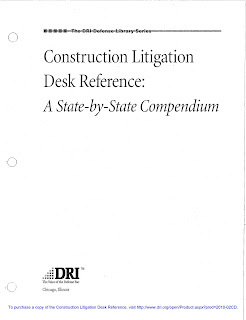 DRI's Construction Litigation Desk Reference Now Available. The 2010 Construction Litigation Desk Reference, published by DRI - The Voice of the Defense Bar, is now available. DRI is the international organization of attorneys defending the interests of business and individuals in civil litigation. DRI provides numerous educational and informational resources to DRI members and offers many opportunities for liaison among defense trial lawyers, Corporate America, and state and local defense organizations. The new Construction Litigation Desk Reference is a collection of state-by-state chapters focused on the most important current issues in construction litigation. Topics addressed include: insurance (including "your work" exclusion, "occurrence" defined, and similar significant subtopics); causes of action (including contract, tort, strict liability, warranty, green building); construction/materialman's lien; surety/bond issues; defenses (including statutes of limitation and repose, contributory and comparative negligence, economic loss doctrine); arbitration/ ADR; measure and types of damages. The authors include dozens of experienced defense attorneys-members of the DRI Construction Law Committee. 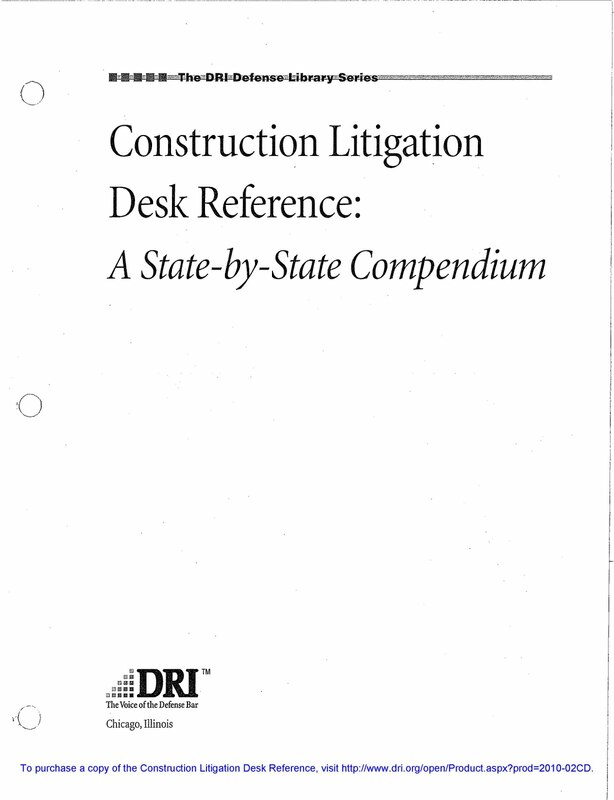 The efforts of the authors and editors have resulted in a unique Desk Reference for construction lawyers. The reader of this new publication will not only gain an up-to-date overview of the current law in his or her jurisdiction, but will be able to research the law of other jurisdictions. Because of our experience in construction litigation, DRI asked the attorneys of Higgins, Hopkins, McLain & Roswell, LLC to author the chapter of the Desk Reference covering Colorado law. To obtain a copy of the Desk Reference, visit the DRI website. If you would like to obtain information about Colorado law only, please feel free to contact me for a copy of HHMR's Overview of Construction Defect Litigation in Colorado. I can be reached by phone at (303) 987-9813 or by e-mail at mclain@hhmrlaw.com.